Unless you've been living under a rock, you've seen some variation of the "Keep Calm" shirts. Keep Calm and Party On, Keep Calm and Call Mom, Keep Calm and Chive On (for all you fans of The Chive), you get the idea. Well here at PoolDawg we always try to keep up with the trends and what the cool kids are doing. As such, we are proud to present the "Keep Calm and Stroke On" tee just for pool players! 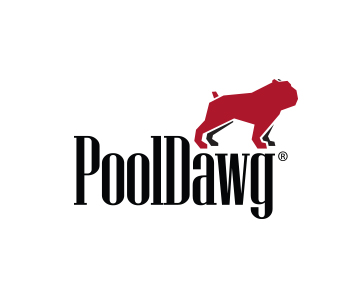 The unisex/men's version of this shirt features PoolDawg red lettering on a charcoal 60% cotton/40% poly tee. If you look closely at the crown, you'll notice an 8 ball, a 9 ball and even Frank's silhouette and paw prints. Also available in a women's style with hot pink lettering. Please Note: These shirts are not fitted and they tend to run true to size.